When shooting in Svalbard, you just never want to sleep--there's so much beauty around you all the time. But after a nap, I felt the ship's engine slow down and saw groups of humpbacks bubble net feeding all around the ship. We got into zodiacs to get low to the water, and after a few minutes, the whales came right up to us, fishing. 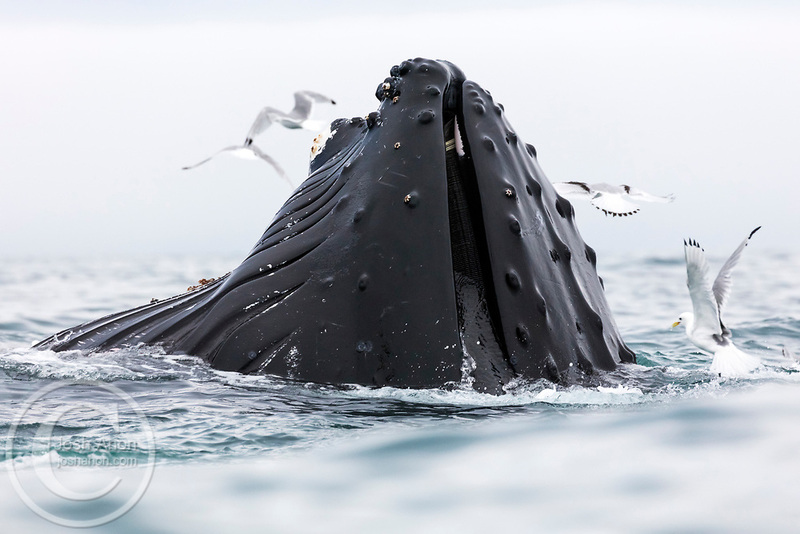 I saw a dark spot in the water, leaned over the edge of the zodiac with my camera, and was able to capture this humpback's mouth as it breached the surface just a few yards away.